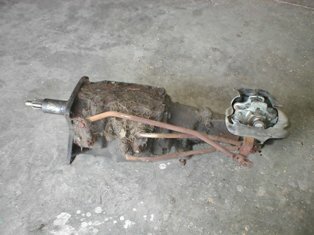 I actually removed this transmission from a GT500. Surprisingly, it revealed a lot of detailing information. 1968 Shelbys used six different transmissions. Each model (GT350/GT500/GT500 KR) has an automatic and a 4spd transmission. The warranty tag code is "W". The automatic transmission for a GT350 is ID code "PEE-S". The GT350 uses a servo piston with the letter "H". 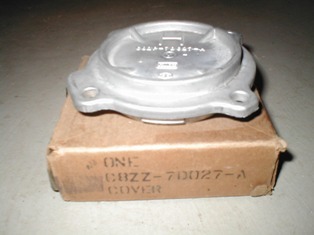 Above is a NOS servo piston cover for a GT350. The warranty tag code is "5". 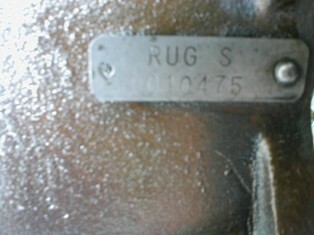 The toploader, transmission identification code is "RUG-N". The warranty tag code is "U". The automatic transmission for a GT500 is ID code "PGB-W". 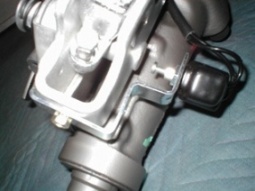 The GT500 also uses a servo piston with the letter "H". The GT500 4spd, toploader code is "RUG-S". All of the transmissions have a metal ID tag. This GT500 tag has the ID code and a unique transmission serial number. The automatic transmission for a GT500 KR is ID code "PGB-AF". The GT500 KR uses a servo piston with the letter "R". This is the original transmission from # 2446. 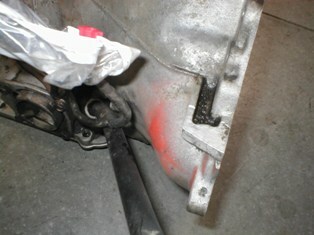 You can see the orange ID on the area where the starter motor mounts. Most likely it identifies the torque converter used in this application. Unlike later C-6s, the dipstick tube was black. 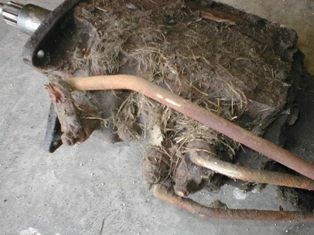 The 4spd, toploader code is "RUG-AE". 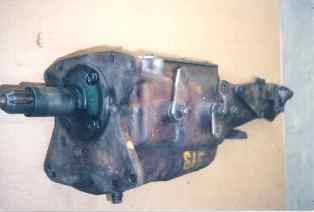 On this original GT500 KR transmission you can see the letters "GAE" stenciled on the side. Part of the ID number is stenciled on the side of all Ford toploaders. 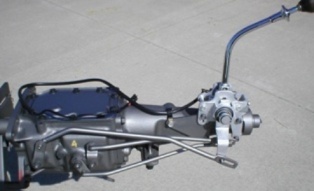 The GT500 trans would have the "GS" code on the side and the GT350 would have "GN"
Here are some pictures of the transmission pictured on the top of this page. It is rebuilt and detailed awaiting the return of # 1628. I left the rubber boots off, so you can see the shifter assembly and the backup light switch. The switch is a reproduction.